If you’re thinking about building or rebuilding an engine, we have the engine gasket set for you. Chasing down individual gaskets is nowhere near as fun as installing a new turbo or a set of cams! 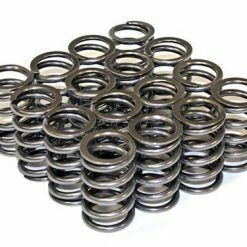 We carry complete gasket sets that include all (or nearly all) of the gaskets you’ll need for an engine build. This OEM Toyota gasket is essential for the operation of your 1JZ-GTE VVTi Engine and comes with all the necessary gaskets.